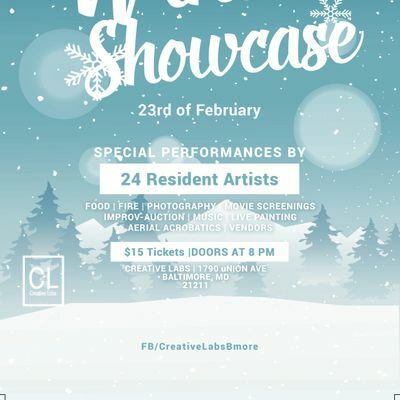 The Creative Labs is proud to present our winter residents showcase. 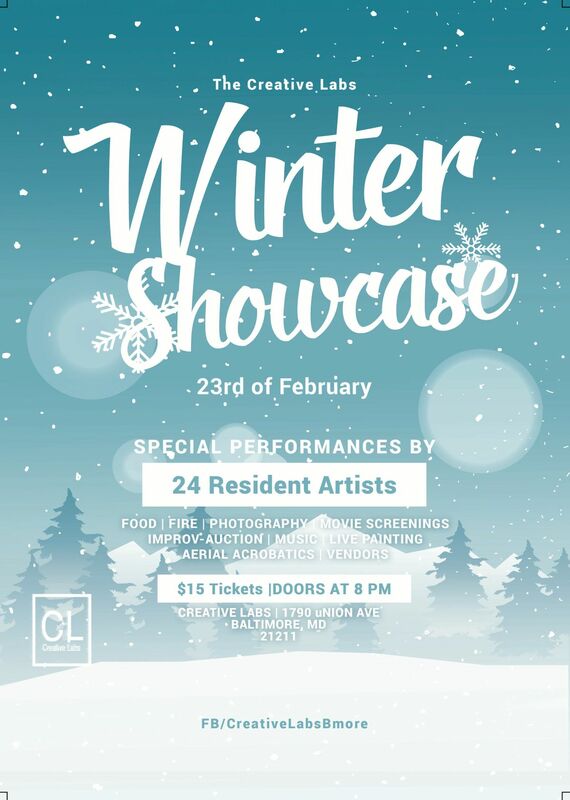 We will have 24 resident artists performing and displaying their work. Movie Screeninngs, Food, Dancincg, Music, Live Art, Vendors, and more! Doors open @ 8pm and tickets are $15 dollars at the door. We can't wait to see you there!